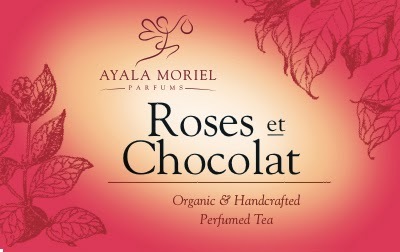 As I set to finally re-launched the missing blends for my tea collection (Roses et Chocolat and Immortelle l'Amour) I encounter some technical difficulties resulting from shortage of Rose Congou to blend with. I've decided to experiment with blending without that key ingredient. Today I was working with two exceptional black teas I have at my disposal: Darjeeling and Ghorka. While the two are extremely different from the ashy and rose-scented Keemun black tea (which is what Rose Congou is); they possess desirable qualities that inspired me to step up to the challenge. Darjeeling is considered the "champagne of black teas" and is most favoured by the French, who incorporate it into tea-infused desserts. It has floral qualities, as well as an astringent aftertaste that make it light and refreshing, yet full of depth. Ghorka is the name of a tea estate in Nepal, that is situated at 1951m on the Himalaya mountains. The particular tea I have was cask-aged in oak barrels where Cabarnet Franc and Merlot wines were previously stored. It has depth and roundness that reminds me of chocolate, and is also reminiscent of baked apples. It has become my mainstay breakfast tea, usually taken with a tad of whole milk. While the teas are wonderful, it takes just a hint too much of this spice or another, too little or too much rose petals, to bring an imbalance to the blend. The result simply paled in comparison to what I had in mind, the roses were taking over and not in a good way, with the spices giving them a very sharp edge that was unpleasant to me. 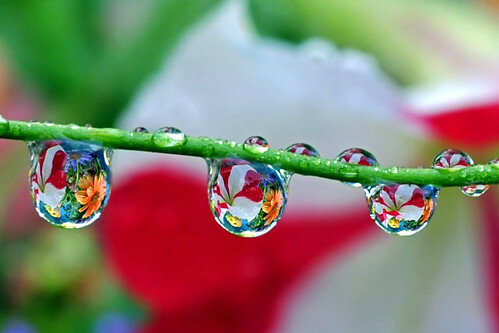 Water Drop Bouquet, a photo by Steve Wall on Flickr. Treasure hunting is one of my favorite aspects of going on vacation. Surprisingly, Mayne Island, a tiny island off the coast of Vancouver Island, is my favorite place to find unique knick-knacks, books, jewellery and food. Mayne is truly my heaven on earth and my home away from my home. Everything about it is comforting, from the sights, sounds and smells (briar roses, broom, salty ocean air, spruce, and sun-warmed blackberry bushes) to the people. The island's population is tiny - approximately 900 people and is like a village. Everyone is treated like a friend, doors are unlocked, and local farmers will leave produce unattended on the side of the road next to a jar to put your money in. Now that is what I call trust (something that is relatively foreign in big cities). The local artisans and artists who reside on Mayne are not only extremely talented but genuinely care about each of their crafts and love spending time with customers helping them choose products that they will be happy with and that will suit their personalities and lifestyles. I get a huge thrill out of scouring the few shops and thrift stores whenever I am there. Almost everything to be found is one of a kind or few of a kind. My big find this year was a six dollar bottle of Rose Geranium Floral Hydrosol. For those who don't know, hydrosols are the distillate water that is produced when plant materials are steamed or hydro-distilled to create essential oils. Hydrosols contain the water-soluble fragrant molecules from plant, unlike essential oils which are what floats on top of the water, and represents only some aspects of a plant or flower. Hydrosols are a pure luxury and have many properties and applications, their most prominent use being in skin-care. If you ever tried your own steam-distillation, you can also create a low-tech hydrosol in which the essential oil (non-soluble in water) are not separated from the distillate water, producing a more rounded aroma profile and preserving many of the therapeutic properties of the plant. These can be found among artisan distillers, usually made in very small batches and often from plants that were wild-harvested or collected in their own garden (if you're interested in distilling your own hydrosols, you can find a small copper still and learn this ancient art from renown aromatherapy teacher Jeanne Rose, who is the eldest pioneer of modern-day's natural perfumery. Though very aromatic, these artisanal hydrosols are much more gentle than essential oils (their essential oil content would be less than 5%) when used for skin care and can be utilized in enhancing your complexion in skincare products, in body care, home fragrances (linen sprays are such example), as well as in food and beverage. Lavender (Genus: Lavendula, a purple-flowering plant related to mint), is very well renowned throughout the world, not only for its delicate, sweetly herbaceous aroma, but also for its remarkable abilities to soothe and heal the body and mind and its almost miraculous power in healing burns, cuts and wounds. Lavender hydrosol contain full emulsified plant essences (including the water-soluble coumarin) and have a great deal of benefits to the skin and to one's emotional and mental state. Gentle and versatile, lavender is suitable for every skin type, soothing inflammation and providing a cooling sensation when spritzed on the skin. It has regenerative effects on damaged, irritated skin and when combined with oatmeal creates a gentle, deep-cleansing mask. Lavender hydrosols can be used as a cleanser, toner or makeup remover, after shave, air freshener or as a calming facial mist. Roses have a fragrance that is immediately recognizable and universally loved. Renowned for centuries for their ability to calm the senses and for their positive effect on various aspects of physical health. Roses provide many benefits in terms of skin care. They have a balancing effect of the PH level of one's skin, can help increase circulation and therefore the distribution of nutrients in the skin, and help to regulate the production of sebum in the skin (the oil that skin naturally produces to keep itself healthy and protected, but that in excess can cause breakouts and dermatitis). 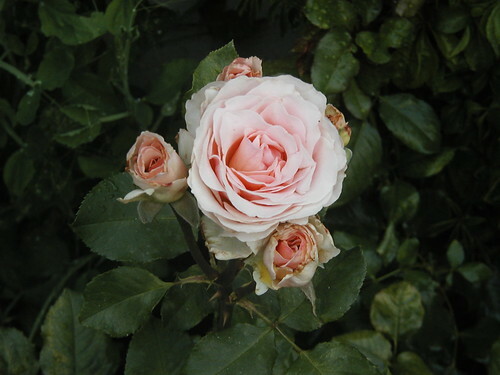 Rosewater has a lovely, delicate floral flavor and is used in beverages and baking. It is used extensively in Middle Eastern and East Indian desserts. Many people swear by rosewater as a remedy for premenstrual syndrome (PMS) for its ability to balance female hormones. Some people even find it helpful in soothing sore throats. Rose's antioxidant properties make it most suitable for mature and dry skin. Rosewater and glycerin are a classic apothecary preparation that can be found to this day in most pharmacies, and is applied to either face or hands as a simple lotion. Spritz rosewater every night on your face as a nourishing toner and moisturizer, either alone or layered with a rosewater based lotion or a rose-scented facial serum or rich cream. 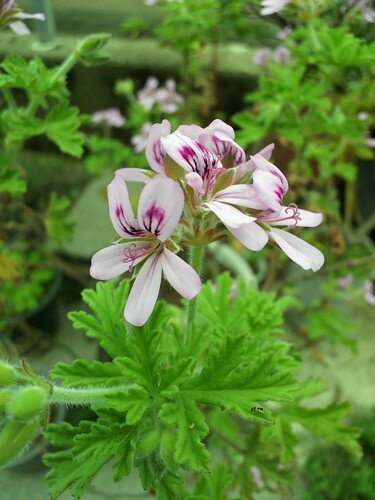 From the flowers and leaves of Pelargonium capitatum, this is my personal favorite hydrosol. I love rose geranium for its uplifting, slightly green, almost lemony aroma. This particular hydrosol is great for combination, oily, or blemish-prone skin, and helps to quickly and effectively restore the skin's balance. This was especially beneficial for me in the summer time when the increased exposure to the sun caused my skin to become a little bit more oily (a common side effect of many skin types in response to sunburn and dryness). Rose geranium hydrosol's can be used as a facial mist, toner, cleanser or even as an air freshener. A natural anti-inflammatory and coolant, rose geranium is also helpful for use on sunburns and summer rashes. 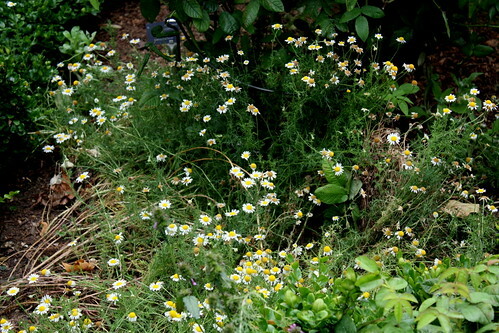 Wonderfully soothing, Roman chamomile (Matricaria chamomilla) hydrosols are great for most skin types and are perfect for skin that is extra sensitive, like babies' skin. Incredibly relaxing, Roman chamomile is renowned for its ability to soothe one's jangled nerves and balance the senses. It can ease muscle cramps and can be taken orally to help with intestinal cramps and spasms. It can be used on the skin to ease any kind of inflammation, as a facial toner or spray. It is also a great enhancement when added to a moisturizer or facial mask. Orange Flower Water (Neroli water), from the flowers of the bitter orange tree (Citrus aurantium subsp. 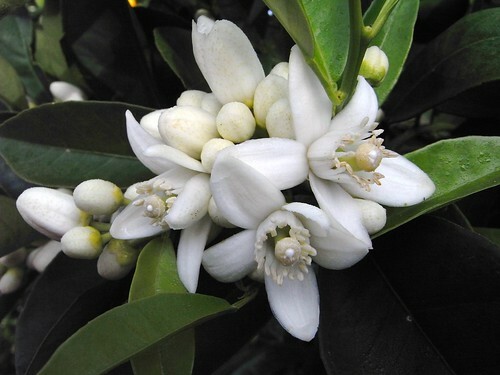 amara or Bigaradia) is one of the best for reducing stress, with its citrusy floral hydrosol. Very astringent, this floral hydrosol is best for oily and acne-prone skin. For those with normal, dry or sensitive skin, this water should be combined with a more hydrating water such as rose or lavender. This water is optimal for blemish-prone skin when combined with an oil-absorbing clay mask. It should also be used as a toner or as a spritz (when used sparingly as to avoid excessive dryness) to balance skin and to calm anxiety. Orange Flower Water are also very popular in the Middle East, in both desserts and savoury dishes. Along with rosewater, it perfumes many famous confections such as Rahat Loukum, Malabi, and a wide assortment of syrup-soaked baclavas. It will also make a fragrant salad dressing or marinade for poultry or fish, providing a fresh-floral top note. With so many options out there in terms of beauty products it is very important to research what is best for your skin type and body. Floral Hydrosols are great in that they are one hundred percent natural, affordable, and serve the skin in a multitude of different ways. 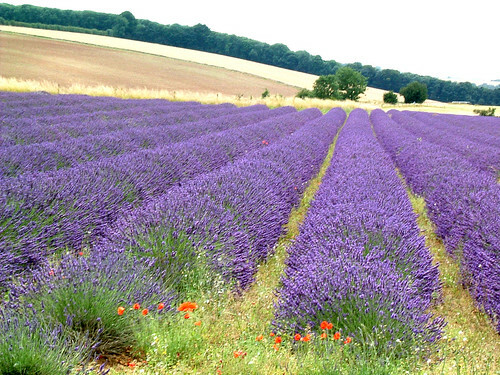 They are also great for aromatherapy and provide a great deal of emotional benefits. And if you're a foodie - there are countless ways to incorporate them into the kitchen In other words, it is the ideal beauty product for the lover of all things natural, with an appreciation for fragrance. Have you ever noticed that when you're under a lot of stress, particularly following a trauma, certain scents just don't seem to smell as sweet; you can't wear your favourite perfumes anymore; and just about anything pertaining to the sense of smell seems to be unbearable and overpowering? There might be, finally, a scientific explanation for that. "... researchers using powerful new brain imaging technologies are peeling back some of the mystery, revealing how anxiety or stress can rewire the brain, linking centers of emotion and olfactory processing, to make typically benign smells malodorous". "In typical odor processing, it is usually just the olfactory system that gets activated" says professor Wen Li "But when a person becomes anxious, the emotional system becomes part of the olfactory processing stream". Moreover, continuous exposure to ambient smells while anxious reinforces it, as the person quickly associates the smells with anxiety, and might re-live the anxious feelings simply because of exposure to the ambient odours present at the time the anxiety was triggered. "We encounter anxiety and as a result we experience the world more negatively. The environment smells bad in the context of anxiety. It can become a vicious cycle, making one more susceptible to a clinical state of anxiety as the effects accumulate. It can potentially lead to a higher level of emotional disturbances with rising ambient sensory stress." Read the rest of the article "A Shot of Anxiety and the World Stinks: How Stress Can Rewire Brain, Making Benign Smells Malodorous" on Science Daily. Lemon Verbena Cordial, a photo by Chiot's Run on Flickr. Cold infusion is a less-known method for creating iced teas, and has many advantages over the more common method of chilling tea or hot infusions. To start with, you won't need to spend nearly as much energy to heat and than cool your concoction. Second, and not any less important: some teas truly benefit from not being heated, as it can bring out the best qualities of fresh leaves that would otherwise be destroyed in the process of hot infusion. 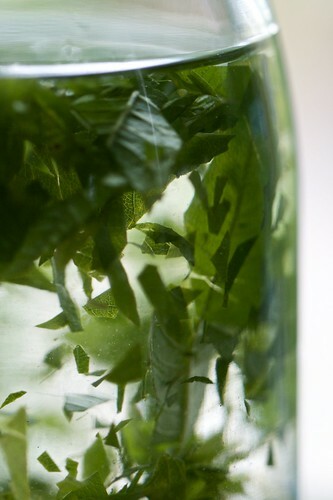 Cold infusion requires more time to infuse, but that can be easily done overnight: fill a 1L jar or pitcher with 2-4 sprigs of rinsed, freshly picked lemon verbena (or spearmint, or 4 blades of lemongrass). Cover with spring water or tapwater (filtered if necessary), and let it sit overnight in the refrigerator. In the morning, you'll have a cool, refreshing beverage, which you could fill in your to-go bottle, while covering the herbs again with fresh water for a 2nd cold-infusion. 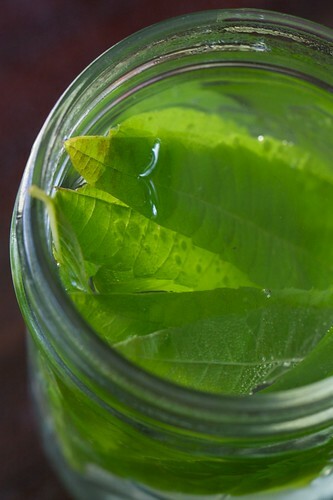 When cold-infusing fresh lemon verbena leaves, the result is a more grassy, green and delicate infusion. The citral is a little less dominant as well, giving more room for the more floral and green notes. Also, the result is a very clear water, which is most refreshing in the hot summer months. We drank lemon verbene, spearmint or lemongrass infused water all summer and they were thirst-quenching and provided little moments of sanity and a pure luxury while hydrating. Making a hot infusion is wonderful too - and will bring out the bright yellow colour of lemon verbena. It will, however, require more planning ahead: You'll have to infuse the tea, bring it to room temperature, and than chill it for at least 4 hours, if not overnight (depending on how much power you have in your refrigerator: the one we had in the village was an ice-box size machine with very little cooling power, so everything had to be planned and thought-through well ahead). I was first introduced to this method by my Canadian-Japanese friend Dean, who would make cold barley "tea" every summer (it's a simple infusion of roasted barley, that is very popular in Japan in the cooler months; you might be also able to find cans of this treat at the Japanese Konbiniya on Robson street - or your own local Japanese/Asian grocery store). Second time I learned about it was from Maria at Shaktea on Main: she recommended this method for making iced tea from their aromatized white and green teas (their Pomegranate & Magnolia was my first time experimenting with this method, and their Elderflower & Cantaloupe is even better this way). It might be a bit tricky with aromatized teas though: the aromas can taste a bit plastic-y and tongue-burning sometimes if they don't udnergo the heating. So you will just have to test and see for each tea if that method makes it better or worse than cooling a hot-infusion. Like the cold infusions of fresh leaves, dried tea infusions may be re-steeped a 2nd and even a 3rd time. 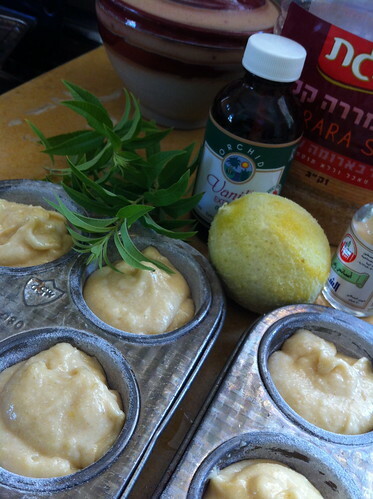 Lemon & Verbena Cupcakes, a photo by Ayala Moriel on Flickr. That wonderful lemon verbena in the gardens in the village where I was staying truly inspired me to make a verbena-soaked lemon loaf. But I didn't have my loaf pan, so I made cupcakes instead! I used a bit of semoline instead of all-flour as you'd find in most cupcake recipes. This adds a nice grainy texture, and interest to what is otherwise a very simple yellow batter. However, it is also packed with lemony tartness and aroma, from both the juice and the zest. For the glazing, I've used both lemon verbena tisan (brought to room temperature, of course), and along with the vanilla sugar, it had an intense lemon-candy flavour, just like that of the classic Israeli lemon popsicles (which are amazing). Must be all that citral and vanillin. 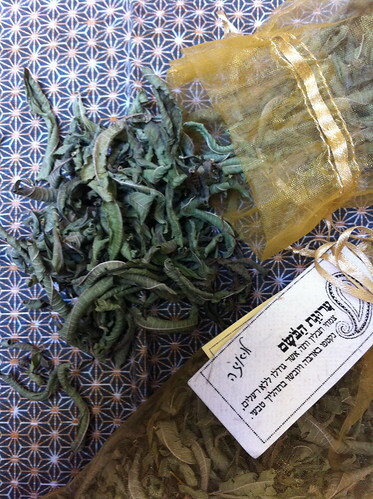 Mouthwateringly delicious, and would make a great addition for a Shabat afternoon tea. Shabat Shalom! - Add half of the flour mixture and mix just until incorporated. - In the meantime, prepare the glazing by beating together the lemon verbena tisane, lemon juice and vanilla sugar. Gradually add the icing sugar and continue beating until smooth and runny. - When the cupcakes are ready and have cooled down, brush them with the glazing. - Serve warm or at room temperature. Do not refrigerate! ** Substitute with dry leaves if you don’t have them. The Portrait of My Spirit., a photo by Esther Spektor on Flickr. 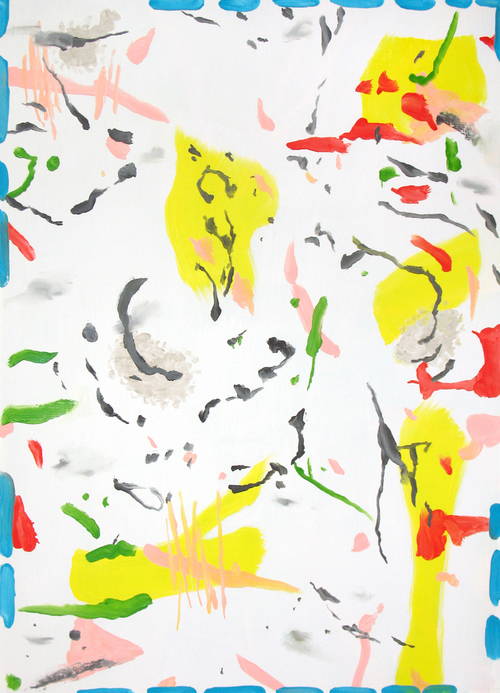 Contrary to my expectations, Jimmy is the most girly of the collection titled Bruno Fazzolari Editions. Fuzzy and milky peach accents a classic bouquet of rose, jasmine and ylang ylang, thinly cut by a blade of green grass. It reminds me very much of AnaisAnais - fruity floral yet green and a tad soapy, and a little of Yvresse - with which it shares a somewhat old fashioned, bubbly aldehydic fizziness. It's not my personal favourite from Bruno Fazzolari Editions, but I am certain those who are in favour of fruity florals and powdery effervescent roses will approve! 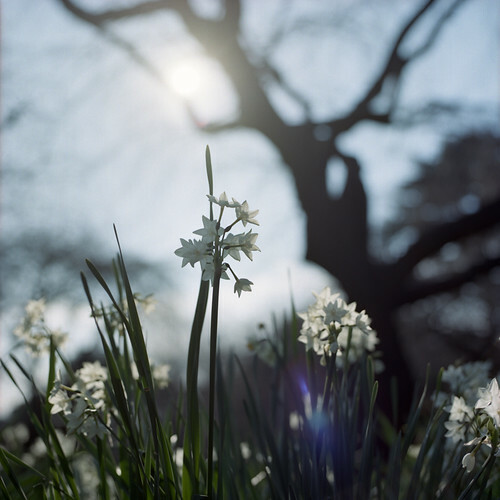 morning narcissus, a photo by F_blue on Flickr. Like the black narcissus, the blue lense on this flower also relies heavily on orange blossom to tell its fantastic tale of seductive yet destructive self-loving. Eau de narcisse bleue is unexpectedly part of Hermes' cologne collection; a fragrance family characterized by effervescent citrus, pungent herbs and overall cheerfulness. Eau de narcisse bleue, like its former abstract floral cologne eau de gentiane blanche, is melancholy and more than sunny Mediterranean patios and azure sea and skies, it brings to mind a walk in a Northern garden early in early autumn morning after it rained. There is still a fair amount of vegetation from the sunny summer left - cyclamens, irises and many leafy greens. The air is filled with a crisp watery freshness of green grass and violet leaves crushed underneath one's foot. It's so vegetale that it's reminiscent of a very green gazpacho and juiced greens and wheat-grass. The opening notes are those of vulnerable orange blossoms drenched in iced green tea (which undoubtedly would be what rain is made from in the Ellena's world). Their scent is sweet and cheerful, but is diminished by the celestial rinse. Echoed from the distance are narcissus flowers peeking through the green shrubs and represented by the sweet scent of hay more than anything else. You'll find non of the animalic, paracresyl methyl ether characteristics of the flower that give it the unbearble leathery corpse personality. Just a whiff of the narcissus' green top notes, resembling lily of the valley in their ethereal greenness. 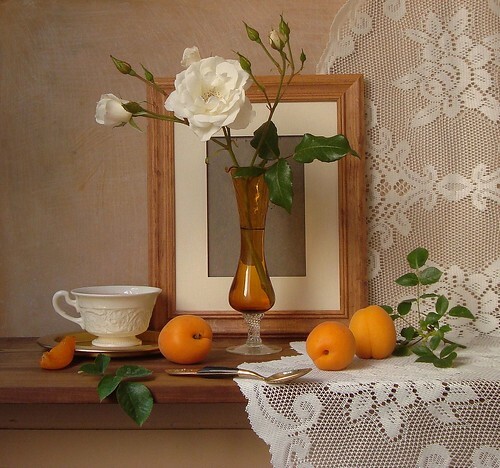 Then comes iris, and the playful orange blossom all but disappears. Cool and powdery yet also sweet and plasticy, the iris brings to mind Hiris, which may as well be the blueprint for both Narcisse Bleue and Gentiane Blanche. At the present makeup of this collection, it is a bit astonishing that Hiris wasn't drafted to serve as a cologne as well. The dry down is a bit disappointing though: it reverts to a non-descript musky coumarin whisper. Vague, sweet and disappointing at the end of an interesting exercise in restrained story-telling and subtle olfactory imaging. 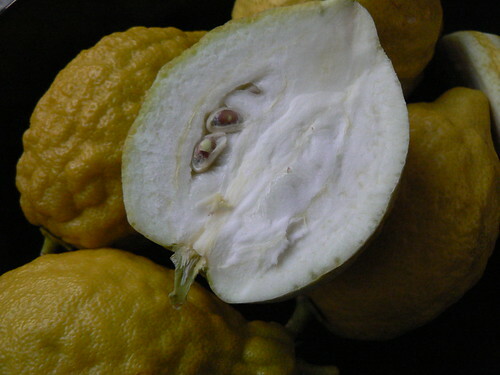 Etrog (Citron), a photo by Ayala Moriel on Flickr. 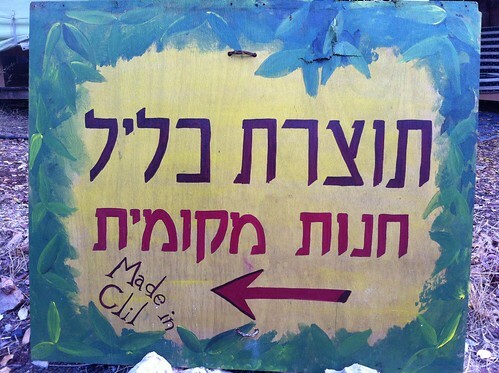 Happy Sukkot and blessed harvest holiday to all my Jewish friends, customers and readers! This is the 1st anniversary of Etrog Oy de Cologne, and a perfect opportunity to celebrate the closing of one cycle of harvest for me, and thank you for receiving Etrog with so much warmth, enthusiasm and support. It is for you that I create my perfumes, and it means so much to me that I am able to continue doing what I am doing and put food on the table for my tiny family while pursuing my passion. May this year be - both fragrant and tasty, good deeds and learning, just like the elusive Etrog fruit. On a community effort note, which is what made Etrog so special: if any of you have leftover Etrogim in the Greater Vancouver area, and would like to donate them at the end of Sukkot - that would be most appreciated. Their delightful zest will be used to create a limited edition tea! Deep into September and over it's other "side" - the cooler, darker and gloomier one. I'm happy to be back at the other side of the world after 2 months in the merciless, scorching Mediterranean sun. Amen to school year, and thank goodness this summer madness is over. This song brings to mind the swirling of leaves, a melancholy stroll by the stromy seaside just before sunset time. The sun, which was hidden in fog and clouds most of the day, now makes a guest appearance and surprisingly peeks through the gathered clouds, sending splotches of lively pink beneath the grays. It is the season of new beginnings (beginning of the Jewish New Year, and school of course), and time of reflection. Time to curl inwards and gather my energy in preparations for longer nights and darker days, which thankfully also means more perfume, writing and creativity. The coming year is going to be very different than the previous ones in terms of my business and I'm sure in one way or another, this will also reflect on SmellyBlog. Last year I was certain I won't be releasing any new perfumes in 2013. There are only a few months left in this year, and I have remained loyal to my decision. I have instead focused on making my packaging a little bit better, and I will continue on making your experience with Ayala Moriel Parfums products and services better, while my creativity will take a back seat (meaning no new releases). 2014 is on the horizon, and while there are still plenty of holidays to celebrate before it is over - I'm already envisioning what the next year would be (Jewish and otherwise...). While I don't plan to release any more perfumes in the immediate future, there will be more surprises coming up soon, some of which are the result of many years of development - and some I've even wrote about on SmellyBlog. But most importantly, I feel very strongly that I must take some time off the front scene, and focus on what's most important to me, both as a woman and an artist. What do I hope for this year? That it will be better than the previous one. What began as a harmless, mundane and optimistic period, turned into a most trying year than I could have imagined. All I ask is for some peace, quiet and most importantly - health. And I wish the same to you as well. mandarin, a photo by kierobau on Flickr. For a cologne with the the adjectif amber in the title, Eau de mandarine ambrée is surprisingly green. And cool. True to the eau de cologne genre, eau de mandarine ambrée begins with a rush of bitter orange zest, whose juicy tartness is only intensified by undertones of passionfruit*. The mandarin itself is rather tart as well, rather than the characteristic sweetness of Citrus reticulata. Amber plays an interesting role, giving a cool presence rather than sweet-confectionary. Rather than embodying the honeyed and perhaps floral nuances of mandarin, it recalls crushed leaves and cool greenery in the shade of an abstract glass orchard. For an eau de cologne, this has an astonishing longvity, although true to Ellena's style, it remains quiet and vague throughout. The amber lingers on and on - it's a clear, cool and transparent amber, not nearly as sweet as those with rich vanilla absolute and labdanum resin. Instead, it relies on distilled resins and balsams (Peru and copaiba balsams, as well as less-sweet labdanum isolates), and synthetic molecules which I know nothing about**. The concept of amber within the refreshing, light composition of citrus and herbs is not new: Spanish-style eaux de colognes are long-known for incorporating cistus, the plant bearing labdanum resin, and an essential component of ambers. 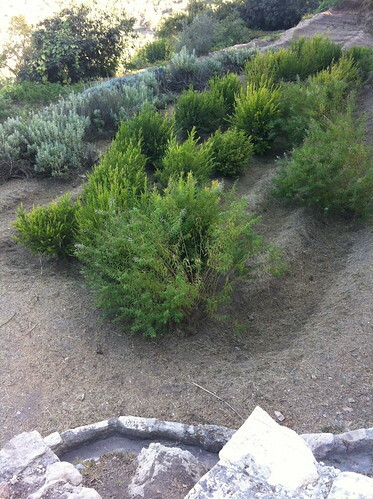 Cistus has a coniferous, herbaceous facet in addition to its resinous-amber aspect. Ellena plays with a similar concept, while conjuring modern ambery elements that carry the illusion of crushed chilled leaves and mandarin pulp to control the sweetness of amber. 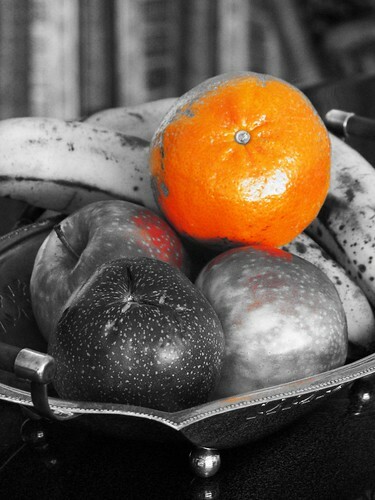 * Thus continuing the theme of fruit in the refurbished eau de cologne series: Eau d'Orange Verte had the addition of mango; and Pamplemousse Rose had rhubarb ( not botanically a fruit, but considered as such by North American cooks...). The Jardin series features fruit more consistently: Fig in Mediteranee, green mango in Sur Le Nil, cantaloupe in Apres la Mousson, and pear in Le Toit. ** Except that I can recognize this as the amber same I've smelled years ago in DiorAddict, Kingdom and Nu. Bakers of the world must be feeling threatened by the recent low-carbohydrate and gluten-free diet fads. The Federation of Bakers (you didn't know such an organization exist? Neither did I...) has launched a limited edition fragrance bearing the bitten-off label Eau de Toast during London Fashion week, piling yet another challenge for the hard-working models on the runways, being adorned with clouds of this buttery odour. Wishing a successful Fashion Week to all of London's model, and an easy fasting during Yom Kipur this weekend! Summer girl, a photo by Zhanna_Minina on Flickr. And all of a sudden, the burden of the heat began to lift brings relief mingled with sorrow: the bittersweet farewell to summer's perceived freedom (in reality it keeps me sealed indoors even better than the rainy season). And that's how nostalgia is born. Fougère has a strange tendency to bring on soft memories, yet has strong masculine nature: strong arms rolling bales of hay, working the fields, the freedom and the abundance of sweetness on a balmy summer night. Green Madness has all of that, and also remains a tad quirky, working unusual cognac notes into the heart, yuzu and tarragon into the otherwise lime-centred head notes, and putting accent on woods along the mossy base. It's may not look like a classical fougère because of the absence of niether coumarin-dominated note at the base nor lavender and linalool notes in the top; but it sure has the overall feel of a fougère, even if unintentionally (the perfumer-creator categorizes it as a "chypre" but I beg to differ). Technically, I can explain it by the presence of coumarin in both lime and lavender absolute. Also, the Himalayan cedarwood has an affinity with rosewood's linalool-rich personality. As with impressionism, it's the overall picture that matters, not the exact details. There are several other brush strokes of unrelated colours - yet if you step back you'll see that it is, after all, a bale of hay. Montserrat el dia després, a photo by Jordi Chueca on Flickr. Montserrat Orange is a strange shade of orange: depending on the light and context, it can appear rosy, like the pink glow of dawn, or turn into a pale, warm apricot in sunset. Likewise, the fragrance Bruno Fazzolari named Monserrat walks the fine line between dewy violet and green tea, and dusky leather and dusty old books. Monserrat begins on a very bright, airy notes of green tea, iso-E super and violet leaves. Slowly but surely, a raspy yet aloof voice of wet leather and whitewashed walls sneaks in, and Monserrat becomes more musky and melancholy than fresh.